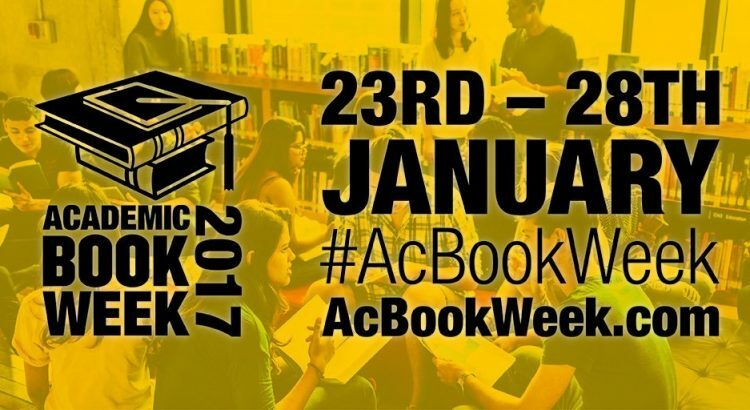 Academic Book Week (#AcBookWeek) – the week-long celebration of the diversity, innovation and influence of academic books throughout history is returning for a second year from 23-28 January 2017 following the success of 2015. Please see the Academic Book Week website for more information. Ahead of Academic Book Week, the Top 20 Academic Books that Shaped Modern Britain, as chosen by leading British Academics has been revealed. Voting is now open to find the book that has been most influential upon modern Britain. Find out more about the 20 Academic Books that Shaped Modern Britain, and read what academics have to say visit the #AcBookWeek 20 Academic Books that Shaped Modern Britain webpage and click on each choice. Voting is open until midnight Monday 23rd January. This one-day event will introduce postgraduate students to key aspects of academic publishing in the Arts and Humanities. The event is free to attend with lunch and refreshments provided, but registration is essential. Please see Eventbrite for more details and to register. The 20 Academic Books that Shaped Modern Britain, will be available to view in the Library from 23rd – 28th January. Remember to vote for your favourite. Do you have a favourite academic book? Or perhaps an inspiring academic author or text that you’re forever quoting? To celebrate Academic Week we are asking you to Tweet your favourite or most inspiring academic text. You can Tweet a name, a quote or even a photo of you with your favourite book just remember to tell us why you chose it. Tag us @isstirling and we’ll retweet your favourite academic books.